When will I get my order? : Production: 5 business days. Shipping timing is additional. 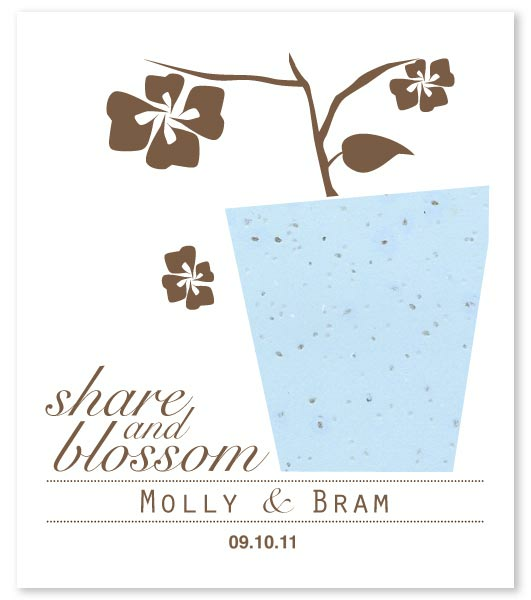 Ground 3 - 7 business days. Overnight - next business day. 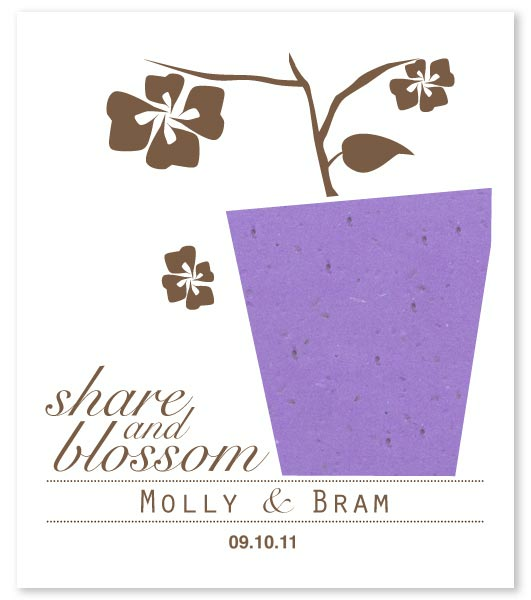 Give your guests a wildflower garden with these fun, flowering Communion flower pot favors. Available in six colors, simply plant the seeded paper pot and wildflowers will grow right out of the paper. 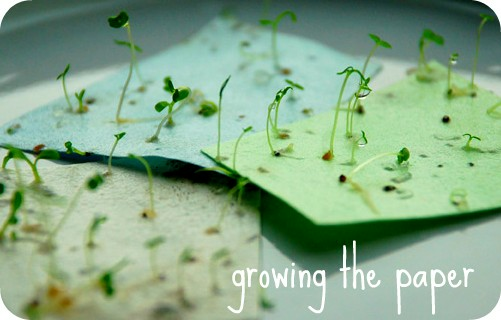 See a photo of the seeds sprouting out of the paper! 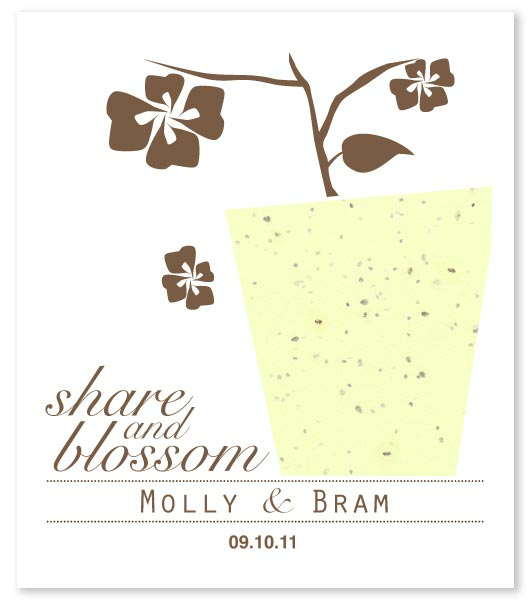 An eco-friendly Communion flowering favor, your guests will think of you when they see their little garden grow. 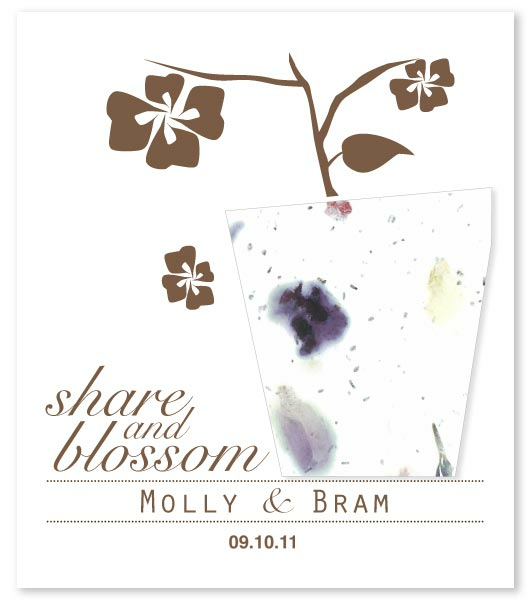 Each card reads "Share and Blossom" as shown and has two lines for your personalized text. Favor Size: 4 1/4 x 3 1/2 inches. Printed in cocoa brown ink on winter white cardstock. 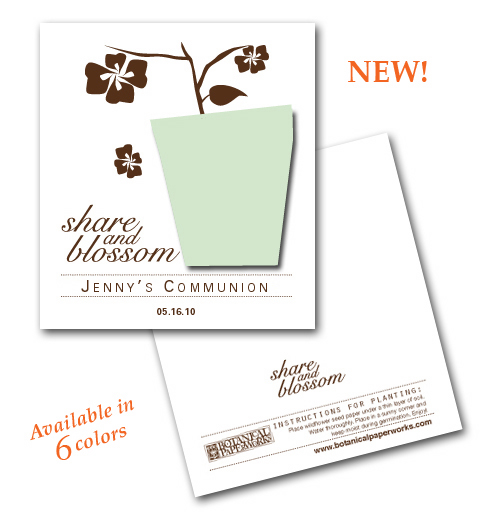 You can also order an envelope to go with your favor for an additional $.28 each piece. 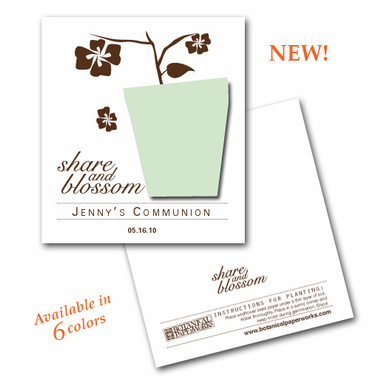 Envelopes measure 4 1/4 x 5 1/4 inches and take regular postage.